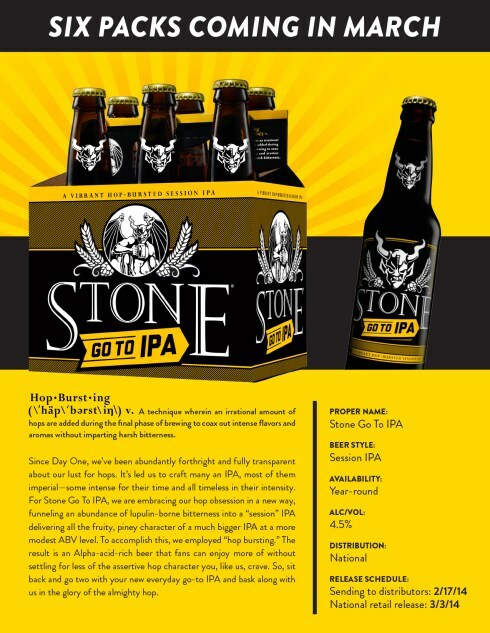 Stone will be the latest brewery coming out with a sessionable IPA as their Go To IPA is slated to hit markets in March this year. The advertisement below gives you an idea of what to expect from the this brew. Also coming in the next few months will be another can option coming from Founders. This time it’s their Centennial IPA hitting the canning line. Got news? Drop me an email!